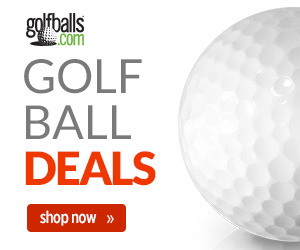 You put your shiny white golf ball on the tee and take a mighty swipe with your driver. The ball soars far and long, but a slight slice caused it to go into the high grass to the right of the fairway. When you reach the area where your ball should be, it’s nowhere to be found. Your aggravation at hitting a poor shot is compounded by a lost ball with your day’s enjoyment rapidly eroding. That scenario may now finally be in the past. 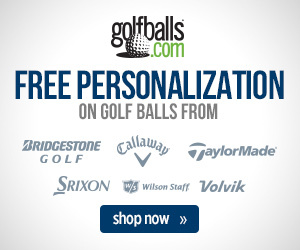 These days, colored golf balls are more prominent in the market than ever before. Designed to stand out on the green and in the air, all major ball manufacturers have colored options available, even in their premium line of golf balls. While some brands simply have colored balls in their lineups, others have cut their teeth in this space. Volvik golf balls lead the pack in this market with its full line of Vivid high-visibility golf balls in enough colors to fill a Crayola box. And some may say that they started the multi-color craze with the popularity of their translucent Crystal line of golf balls many years ago. Chromax golf balls are also a major player, using a transparent cover in a platoon of metallic and bright colors for customers to choose. Pair any of these eye-popping polychromatic orbs with a Martini golf tee and you may never lose anything on the course again. Light-filtering sunglasses are a time-honored way to track your golf ball, both in flight and on the ground. The lens creates a crisp contrast between the background and the golf ball to aid in spotting in a sea of green. For those less interested in a pair of special sunglasses and can’t help but get your smartphone involved, the Golf Ball Locator App, will put a blue filter on your phone screen as you scan the ground to ferret out the hiding place of a white golf ball. OnCore Golf, a company headquartered in the not-so-hotbed of golf in Buffalo, New York, broke into the consumer golf world with an unconventional hollow metal core ball. The OnCore landed with more of a ripple than a splash in the golf pond. As they say, nature abhors a vacuum, and that hollow space in the center of the golf ball grabbed the attention of tech wizards in the lab. What if you could put a microchip in a regulation golf ball that would be able to withstand the violent impact of a golf club swung at over 100 miles per hour and locate a golf ball to within one foot of accuracy? This being the 21st Century, the first thing OnCore did was launch an Indiegogo crowdfunding campaign to test the viability of the “Ball with a Brain.” To date, the project is 120% funded with $129,000 raised. As golf ball manufacturers continue to innovate with different colors and technologies, golfers should be able to find their golf balls more so than ever before. But instead of that, let’s try to keep it on the fairways and greens, okay?